❝ Where do most of the elements essential for life on Earth come from? The answer: inside the furnaces of stars and the explosions that mark the end of some stars’ lives. 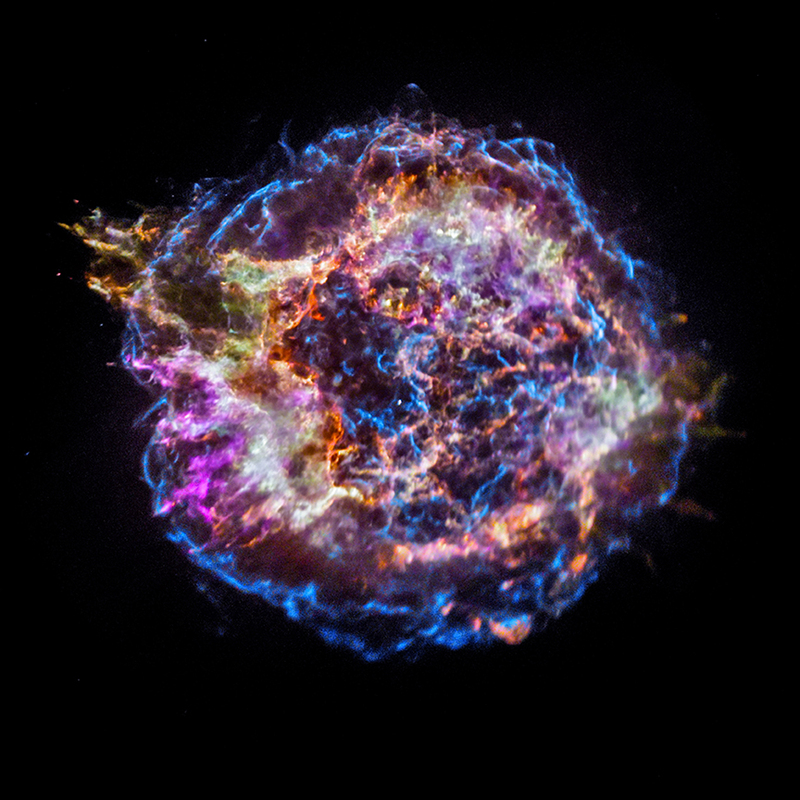 ❝ X-ray telescopes such as Chandra are important to study supernova remnants and the elements they produce because these events generate extremely high temperatures — millions of degrees — even thousands of years after the explosion. 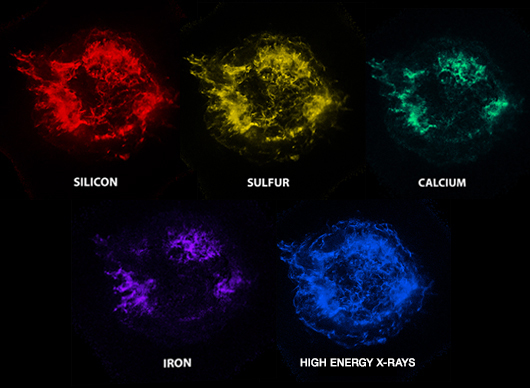 This means that many supernova remnants, including Cas A, glow most strongly at X-ray wavelengths that are undetectable with other types of telescopes.